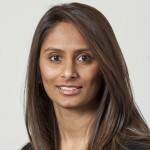 Nishma Patel was appointed as Research Associate in Health Economics by University College London in October 2011. Prior to her appointment, she was employed as a Health Economist by the National Perinatal Epidemiology Unit (NPEU), University of Oxford from September 2008 to September 2011. Nishma is currently working on the NIHR funded BRIGHTLIGHT study and the ESPRC Future Targeted Manufacturing Hub. Her research focuses on economic aspects of health-related quality of life and healthcare costs; development of disease models to evaluate long-term effects of disease and interventions and reimbursement models for personalised medicine. Previous projects have included the development of an economic modelling framework to evaluate Next Generation Sequencing (NGS) to treat viruses, evaluating the cost-effectiveness of therapies for agitation in dementia and the cost effectiveness of carotid artery stenting compared with endarterectomy in patients with symptomatic carotid stenosis.